ALA Youth Media Awards: Predictions! I have more faith in my picture book predictions; my middle grade (and young adult) reading this year has been abysmal! The awards I’m covering reflect this and I didn’t choose awards that are specifically for YA books though I did make a few YA predictions for other awards. If you haven’t guessed already, Caldecott is my favorite, so I spent a lot of time thinking about this award. I even attended a Mock Caldecott at Cincinnati’s Main Library (which was a fun experience). I picked awards that I had confident & informed guesses about and I tried my best to research and read as many books as I could. I’m certain that I’m leaving a lot out! We’ll see what I miss on Monday! Please feel free to tell me if a pick is ineligible and leave your thoughts in the comments. Well guys, it’s almost that time! Right now in Boston, the American Library Association’s Midwinter Conference is well underway. Book lovers, librarians, publishing reps, authors and illustrators are talking books, giving away and signing advanced copies of books and (I’m sure) having a blast! Unfortunately, I’m behind in my Newbery reading so I have no official selection yet but if I HAD to choose, based on what I’ve read so far, I’d pick Echo by Pam Muñoz Ryan. Why? Because though there are some issues with pacing, it’s an EPIC and unique story and I’ve seen children embrace it. I’m in the middle of The War that Saved My Life and it’s great, so I’d be happy to see that one win too. Either way, I’m celebrating all these great books. Just a sample of books being considered for the Newbery Medal! 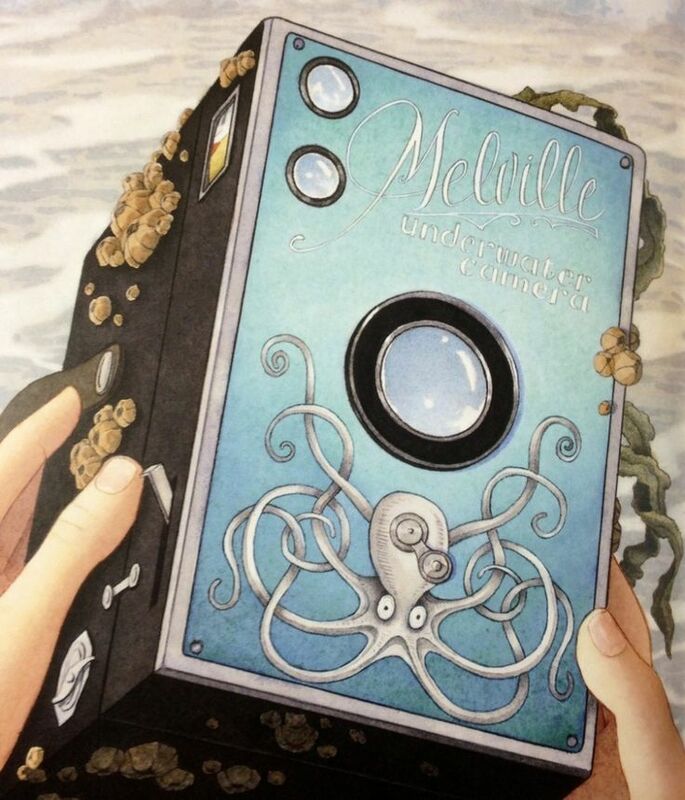 I already posted about my Caldecott Medal Prediction (Float by Daniel Miyares!) I’ve been certain about that for a while…You can read that post here! I’d love to see Drum Dream Girl by Margarita Engle or Funny Bones: Posada and His Day of the Dead Calaveras by Duncan Tonatiuh win the Pura Belpré! There are so many cool books up for the Newbery award this year. The School Library Journal’s blog Heavy Medal does an awesome Mock Newbery and it’s fun to see what people think deserves to win. Check out that post here. Finally, one of the biggest take aways from all this Newbery and Caldecott excitement is the potential for learning in the classroom. Teachers can read the books throughout the year, hold Mock Elections and finally hold an Awards Ceremony Watch Party in class! This might even get your reluctant readers excited about reading! Here is a great post about Mock Elections around the country. Get inspired! Happy Reading and YAY for Monday Morning! 2015 is coming to a close and new book releases are trickling down so it’s time to start thinking about Medal Season! Woo. 2015 produced some amazing books. If you look at the bottom of my blog, I have a word cloud for most frequently used “tags”. Click “2015” to see the books from this year that I enjoyed. I also highly recommend taking a look at this excellent book list. In case you don’t already know, the Caldecott is a medal for the best illustrations by an author/illustrator with an American citizenship or residence for the year. The Newbery is a medal for the best work of children’s literature by an author with an American citizenship or residence for the year. There’s only one “Medal Winner” (gold) for each award though “Honor Medals” (silver) can be given. All medal and honor recipients are selected by fancy schmancy committees. It’s simple and powerful all at the same time. Float is excellence in illustration and storytelling and is perfect for children, exactly what the Caldecott is awarded for. It’s a gorgeous story conveyed through gorgeous illustrations that deserves to win it all! Win it all I say! You can read my full review for Float here. Good luck, Daniel! There are many people around the world who consider A Chair for My Mother a classic; perhaps they grew up with this book and special memories are associated with it. For me, this book is brand new. Nevertheless, I’m grateful for knowing it now and being able to share it here, with you. What a sweet book this is. A young girl’s mother works hard every day at the Blue Tile Diner and all she wants to do is make her mother more comfortable. Their house was ruined in a big fire but their community came together to support them with a new home and beautiful items to fill it. Though they have many new things, they still don’t have a big comfy chair. So, they work together to fill a large glass jar with left over change, so that one day they can buy the most comfortable and beautiful chair to rest in. This story of family and community is diverse and relatable; the girl’s mother is a single mother and works hard to support her family. Williams’ watercolor illustrations are warm and inviting. She uses bright colors and every scene is framed with a sweet border, as if the pictures are in a frame. The image below is my favorite; mother is tired but peaceful, resting on the table with her shoes off while Grandmother and her granddaughter smile and add coins to the jar. I’d say that A Chair for My Mother is perfect for Mother’s Day but since Mother’s Day is really every day, take time to enjoy this book with your family.